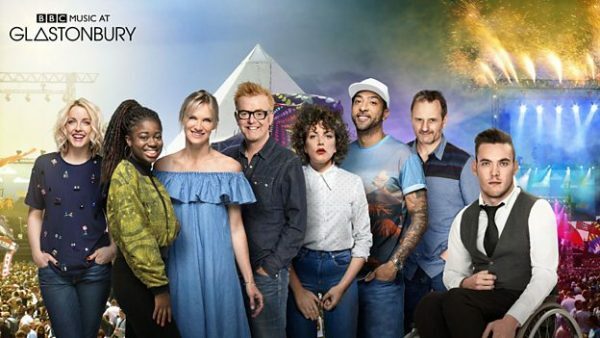 BBC Music today announces a historic deal to bring the glory of Glastonbury to BBC audiences for the next five festivals. The world’s most famous music festival will be broadcast on the BBC until 2022, including the festival’s 50th anniversary year in 2020, and 2022, the BBC’s 100th anniversary year. There will be a fallow year in 2018. In 2016, the BBC’s Glastonbury coverage on TV reached a record-breaking 18.9m people (31.9 percent of the UK population). Last year, TV coverage saw the presenting team of Chris Evans, Jo Whiley, Dermot O’Leary, Lauren Laverne, Steve Lamacq, Cerys Matthews, Trevor Nelson, Mark Radcliffe, Huw Stephens, Gemma Cairney, Greg James, Annie Mac, Yasser, Clara Amfo, Alice Levine, DJ Target and Martin Dougan broadcast over 25 hours of TV coverage spread across BBC One (The One Show), BBC Two and BBC Four, as well as over 60 hours of content spread across BBC Radio 1, Radio 1Xtra, BBC Radio 2, BBC 6 Music and BBC Radio 4. Digital coverage included live-streams from six key music stages including the BBC Music Introducing stage which supports unsigned and under the radar musicians.